Post any questions around revamped machines here. Golden Nugget it’s an original!! Mills Vest Pocket Slot jackpot? 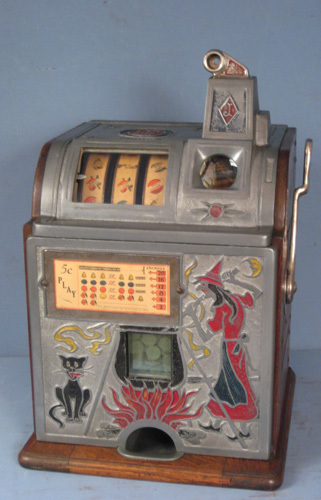 A 1961 Pace dime machine, a broken key and more. Mills High Top project, worth it?